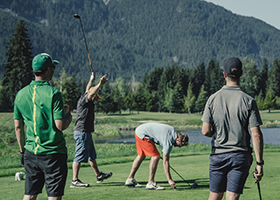 GolfBC eNews - Golf Specials, Promotions, Contests and News! GolfBC sends out a monthly electronic eNews full of offers and promotions at all GolfBC properties! Registration is FREE, so sign up now. If you have already registered, login to update your profile and indicate that "yes", you would like to receive eNews.